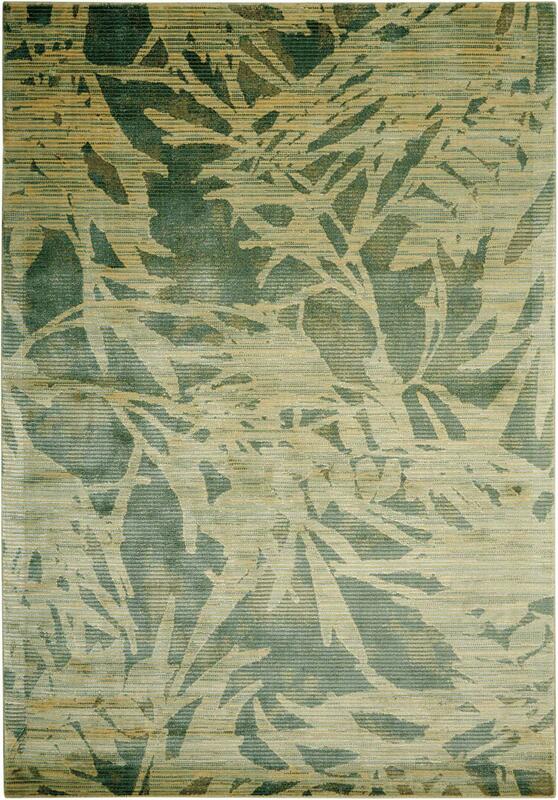 Home > DEALS > Clearance Area Rugs > Nourison Calvin Klein CK32 Maya MAY07 Borneo Zinc 7'6" X 10'6" Area Rug - LAST ONE! An oversized leaf design presented in the Mayan tradition glows as though lit from within in blended phosphorescent tones. New Zealand wool is expertly blended with silk-like fibers to offer a seductive sheen that beautifully highlights any room.